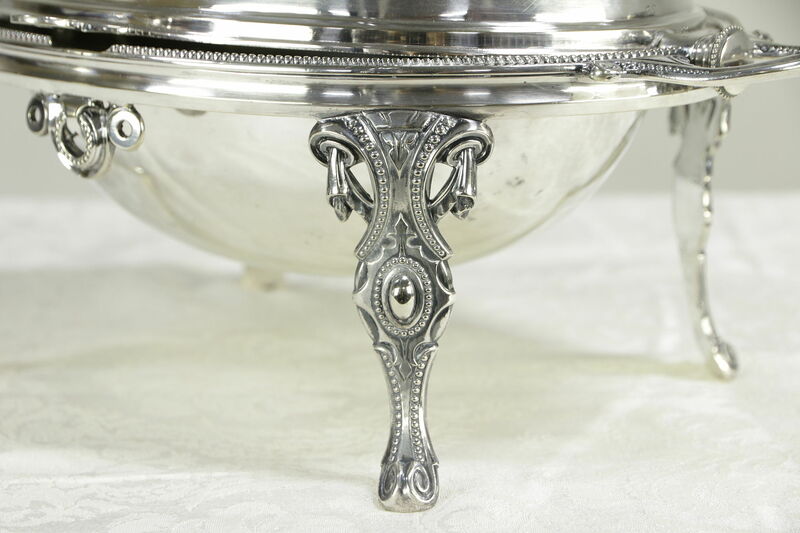 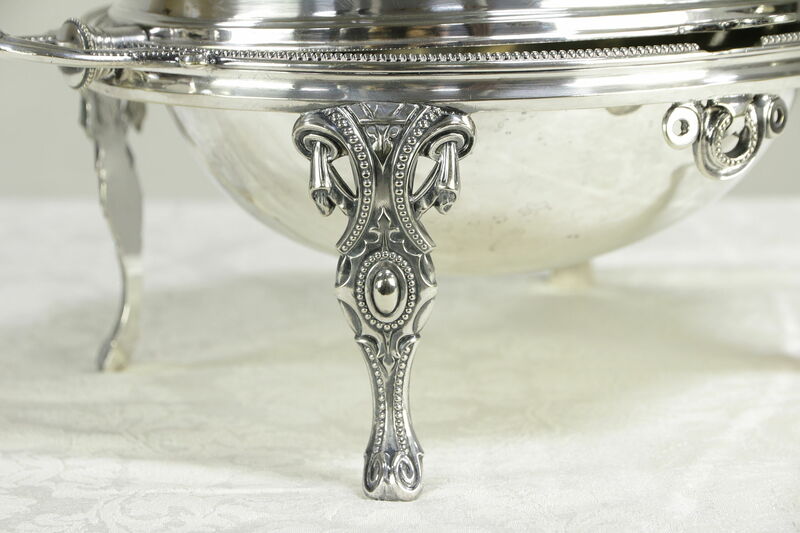 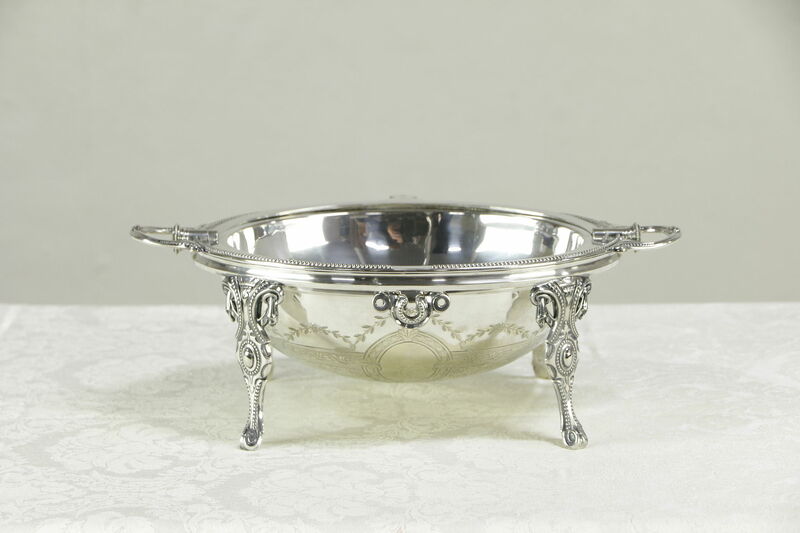 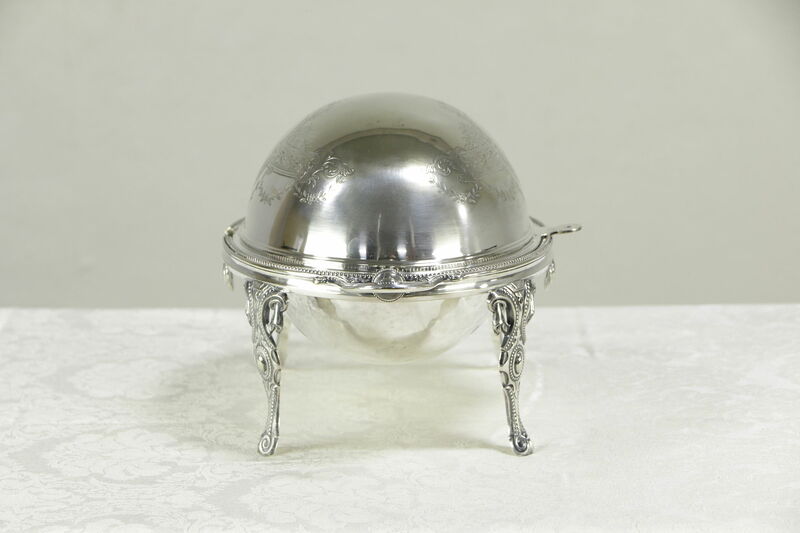 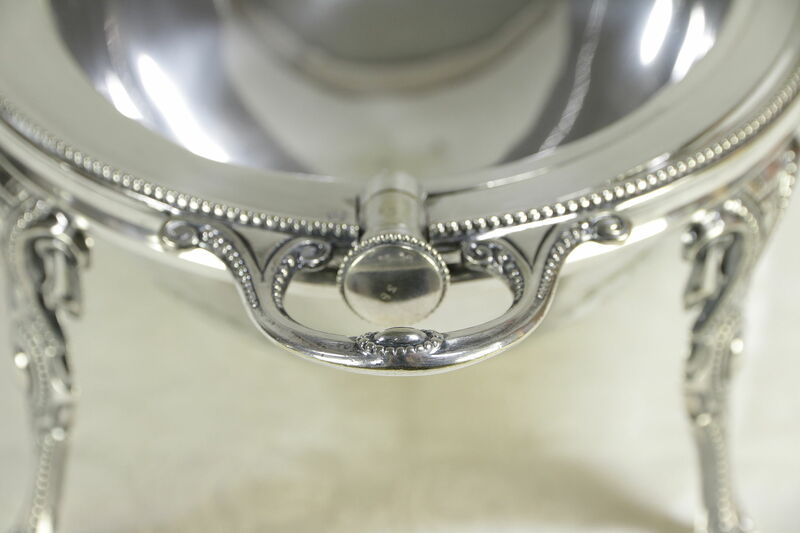 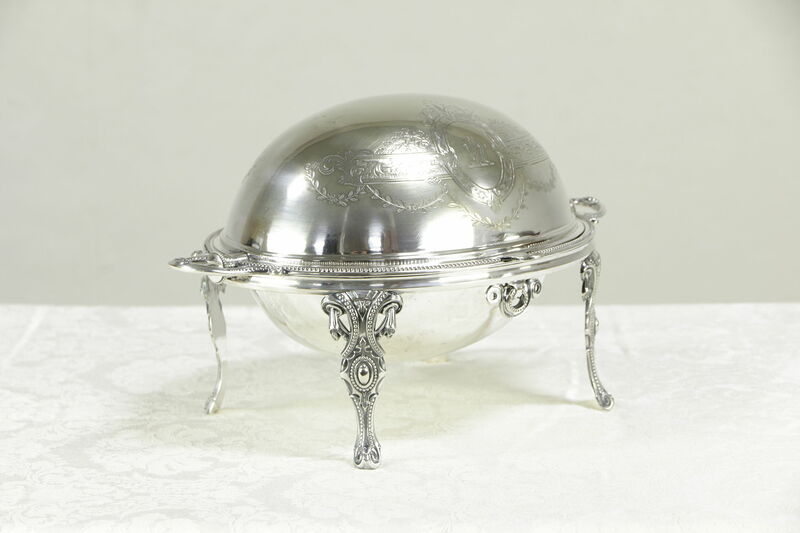 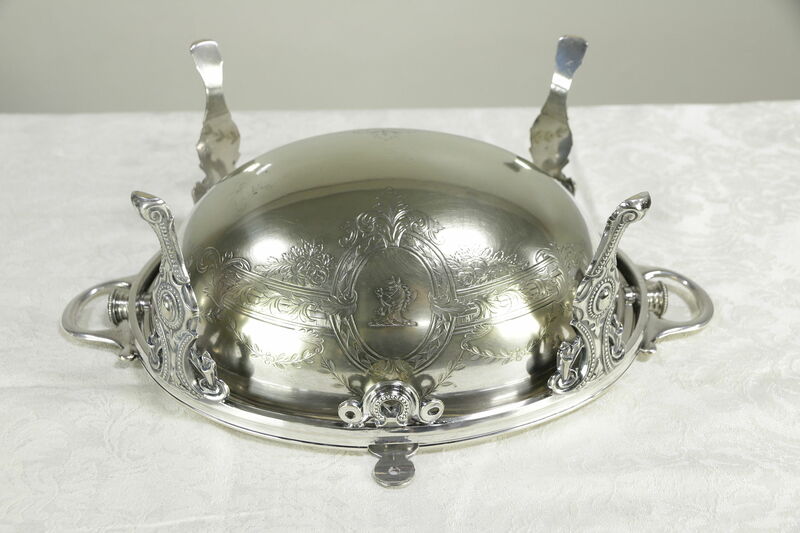 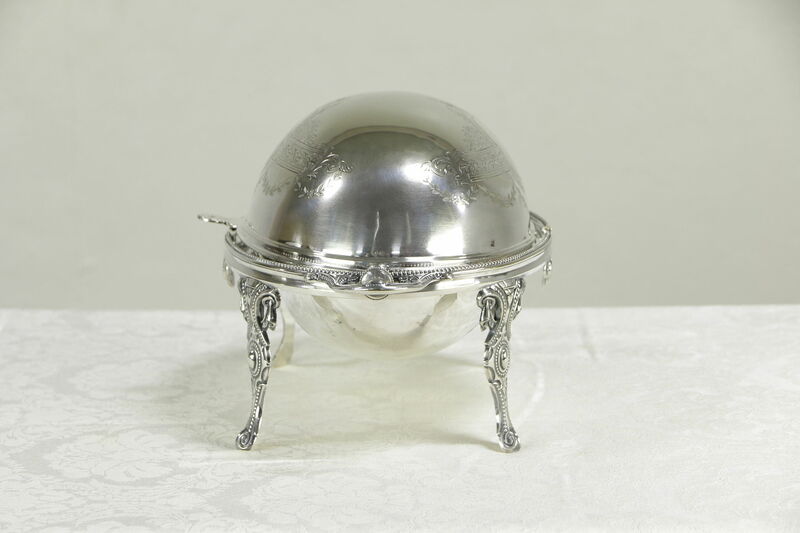 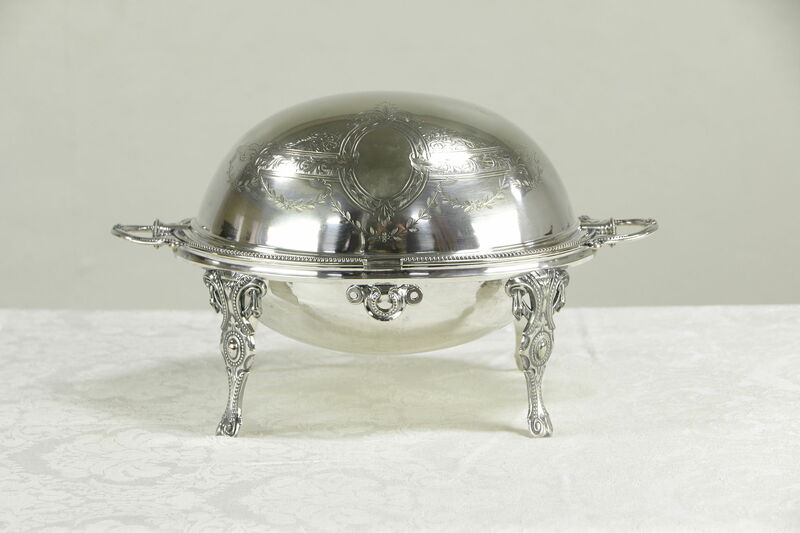 An oval silverplate serving dome from about 1900 was signed in England with hallmarks, see photos. 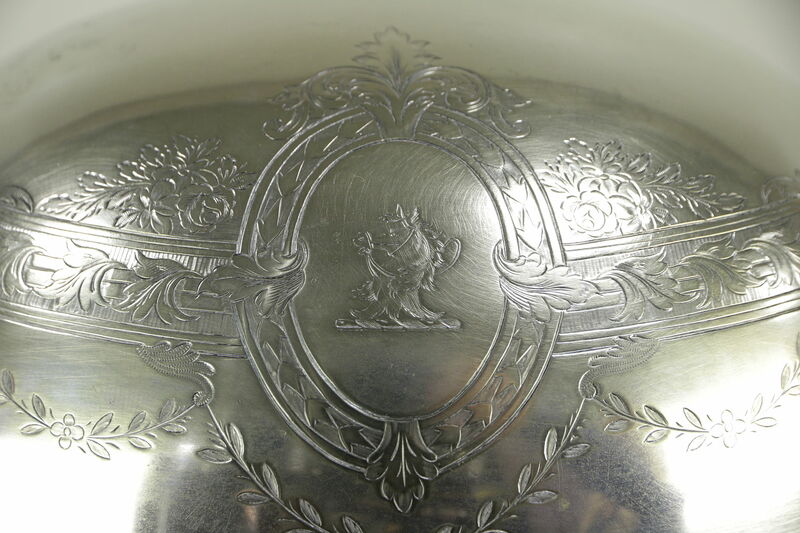 The top of the dome is worn with brass showing through as shown. 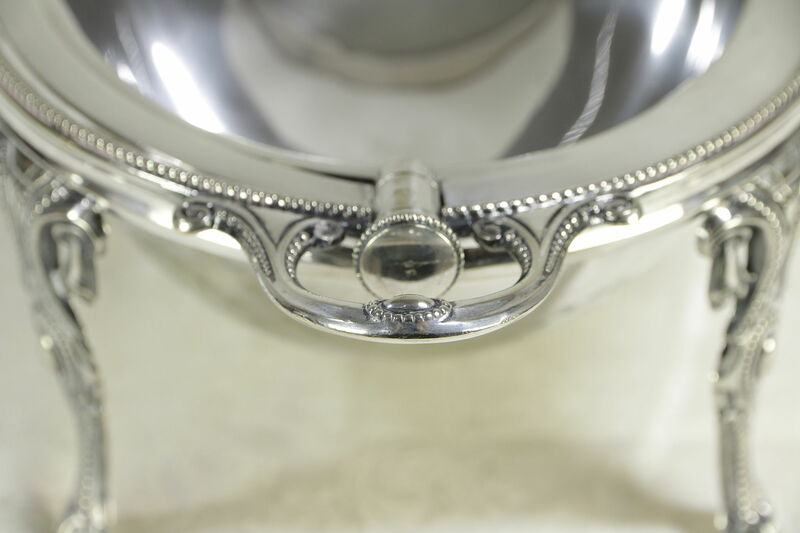 Deep hand engraving is beautiful, the horse head family crest or coat of arms is in a medallion. 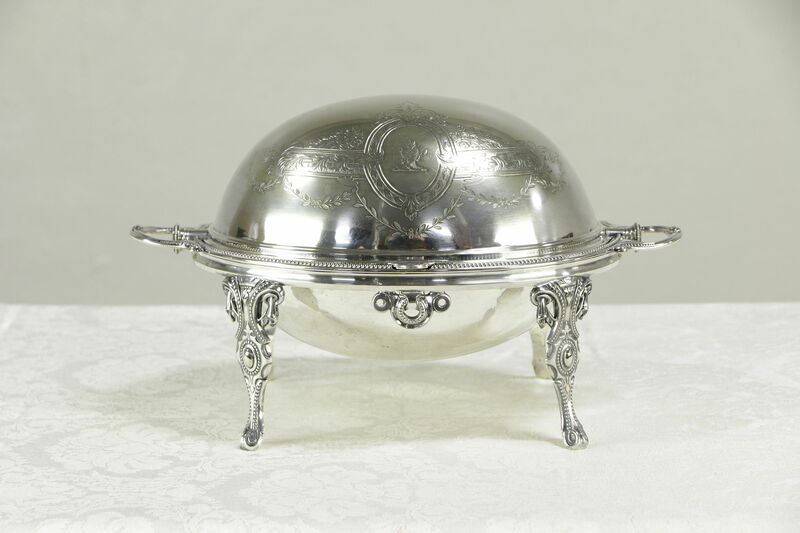 This antique serving piece measures 14" long, 9 1/2" deep and 9" tall.